3 mounted warchiefs. 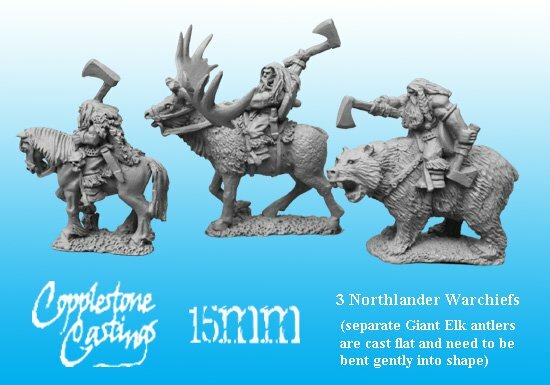 The warchief riding the Giant Elk is a 2-piece castings. The separate antlers are cast flat and need to be gently bent into shape.